Almost 400 years ago, Jan Peeck became the first European to set foot upon a stretch of land along the Hudson River that is today a haven for artists and art lovers. Just an hour by train from Manhattan, the four-and-a-half-mile plot called Peekskill is home to almost 25,000 people. Its multicultural downtown pulses with life. Following Peeck’s lead, early settlers came to the waterfront and forged friendships with the Kitchawank Indians. Peekskill served as a crucial military base during the Revolutionary War and was a station for the Underground Railroad. Its advantageous position along the river made it a pivotal player in early industrialization, and iron mines were discovered in 1851, transforming Peekskill into a center for stove manufacturing. In 1984, Peekskill elected the first African-American mayor in the state. By the early 1990s, however, the population was beginning to wane and the city faced financial crisis. The local government took action, spearheading a revitalization project. In 1996, the Peekskill Business Improvement District was established by community members in cooperation with the city to promote Peekskill’s rebirth. The efforts and dedication of many have turned the once bedraggled downtown streets around. Old buildings have been refreshed, and new businesses have set ground. Everywhere, art in all its manifestations is celebrated. Individuals who practice the fine, design, graphic, musical, literary, computer, or performing arts are encouraged to apply for certification with a special city committee. Once they are verified to be working artists who earn their living through their medium, each may rent or invest as a co-op owner in one of 75 livable work spaces, most of which are located within the upper levels of historic downtown buildings. The growth of the Artist Live-Work District has been central to revitalization, as have the many businesses that thrive on street level. The Flat Iron Gallery contains four rooms of art and jewelry from artists all over the country and flaunts a new collection almost every month. “In Full Bloom,” a group exhibit of floral paintings, will open there in July. At Driftwood Gallery-Studio there is always something new and unique to admire; the gallery specializes in Hudson Valley art and artists. The loftlike 12 Grapes Music & Wine Bar, where the music is as carefully prepared as the food, was recently profiled on ABC-TV in celebration of its one-year anniversary, with its delicious and popular red snapper crepes taking center stage. Music and art by Peekskill locals fill the space at the Division Street Grill, which offers an extensive selection of chef-created delicacies. The Division Street Grill’s food is also served aboard the historic vessel Commander, which cruises the Hudson River from May through October. 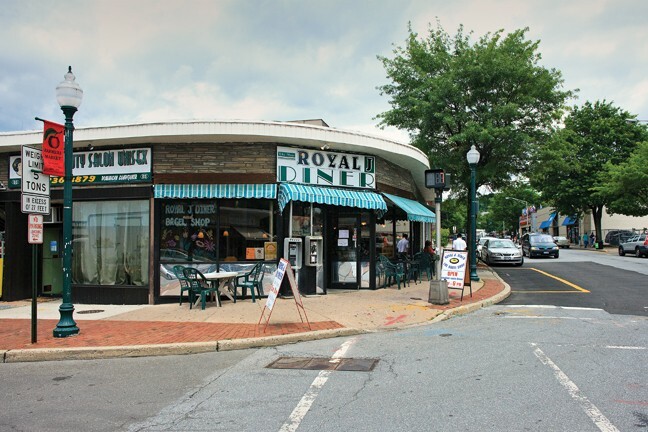 For those with more ethnic tastes, outdoor summer dining is available at Ruben’s Mexican Cafe, or Italian specialties can be appreciated at Trattoria Valentia. Reservations are recommended at all of these restaurants on weekends. A reservation may not be required at the buzzing Peekskill Coffee House, but the line is often cheerfully long, and the coffee and company are worth the wait. 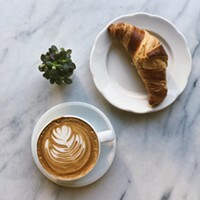 With big windows, comfortable seating, lots of space and games to play, it stands as a salutation to the tradition of independent coffee houses. The trendy, family-friendly BeanRunner Café has an eclectic menu and an extensive play room for kids. Live music and readings on weekends complete the picture-perfect bohemian vibe in both venues. Across the way from the Peekskill Coffee House rises the Paramount Center for the Arts. It is a majestic 1,025-seat theater that houses films, live music, drama, dance, and arts-in-education programs and serves over 63,000 people annually. 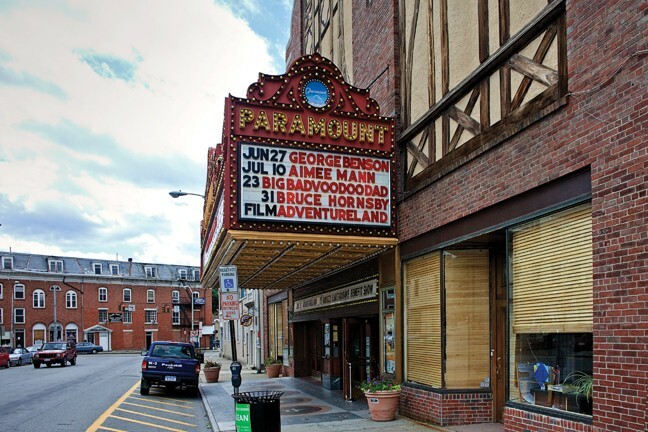 In the past three years, the Paramount has completed a number of historic restoration projects, such as the re-creation of the original 1930s ceiling design and the decorative repainting of the walls, balcony, faux opera boxes, and stage proscenium. Summer 2009 acts include George Benson, Aimee Mann, Big Bad Voodoo Daddy in “100 Years of Cab Calloway,” Bruce Hornsby & the Noisemakers, M. Ward, Cyndi Lauper and Rosie O’Donnell in “Girls Night Out,” Mario Cantone, and Boyz II Men. The independent films The Great Buck Howard and Tokyo Sonata will be shown this month. Just minutes from the Paramount Center visitors may explore the Hudson Valley Center for Contemporary Art, a 12,000-square-foot arena cited by the New York Times as “the most dynamic contemporary art site in Westchester.” Now through July 26, the center has an exhibition called “Origins,” a compilation of major works by 30 artists from 15 countries, using natural materials such as clay, ash, fiber, wood, and soil. HVCCA is dedicated to presenting such exhibitions as well as interdisciplinary programs that explore the richness of contemporary art, its contexts and its overall relationship to social issues. To this end, it features temporary and long-term installations, artist-in-residence opportunities, and educational and public outreach programs. 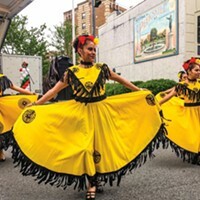 The center is the primary sponsor of the Peekskill Project, an organization responsible for the placement of local artists’ work throughout the galleries and businesses of downtown. Also this summer in Peekskill, visitors and residents alike may enjoy the farmers market every Saturday from 8am to 2pm, and the flea market every Sunday from 10am to 4pm. A low-key weekly entertainment series along downtown streets is scheduled to begin on July 11 and celebrate community music on Saturday evenings. 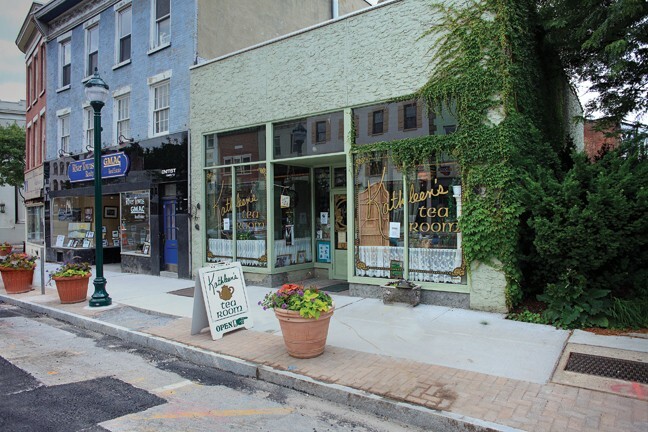 Just spending time in the streets during such events can be a treat, as the entire district of at least 150 buildings was honored by the National Register of Historic Places five years ago as an exceptional example of intact 19th-century Hudson Valley architecture. And there is plenty of room for modern surprises. Joseph Tomlinson, the owner of the historic Kurzhal Brothers Building at 900 Main St., colluded with Steel Imaginations gallery owner Wilfredo Morel to create a public art installation. Morel has transformed the empty storefront of the old hardware and glass products provider with vibrant steel sculptures, and hopes to do more of the same at other downtown locations. He is a private citizen committed to facilitating community arts projects in his city. Peekskill economics continue to improve. The city is home to a Westchester Community College extension and to a New York State Workers’ Compensation office that employs over 100 people. There is a growing community of Latino entrepreneurs like Wilson Narvarez, the owner of the hugely successful 13,000-square-foot foods store the Peekskill Marketplace, which opened last November as the first such large market to grace downtown Peekskill in decades. In order to keep local artists and business owners up to date on all theses fantastic changes, the Peekskill Office of Economic Development recently began publishing a print and online newsletter called City of Peekskill. It welcomes new businesses, features an artist of the month, and provides an events calendar in each issue. Peekskill is undergoing a postinsutrial rebirth.